Note from the Editor: The author favorably reviews a new book about cutting edge issues in international law and the law of war. The Federalist Society takes no positions on particular legal and public policy matters. Any expressions of opinion are those of the author. Whenever we publish an article that advocates for a particular position, as here, we offer links to other perspectives on the issue, including ones opposed to the position taken in the article. We also invite responses from our readers. To join the debate, please email us at info@fedsoc.org. 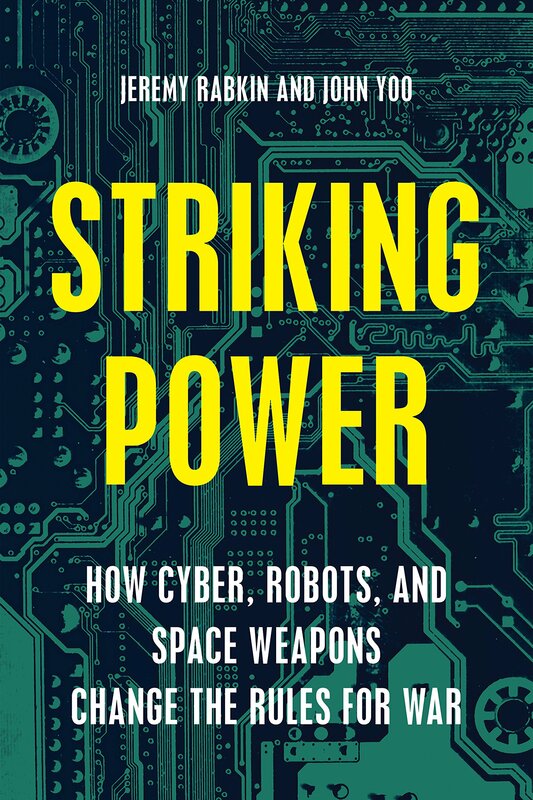 In this compelling and provocative book, Professors Jeremy Rabkin and John Yoo explain how developments in cyber, robotic, and space weapons can make the world a safer place. But they further explain that, to fulfill this potential, the rules for war will need to accept the legality of attacks directed at civilian objects. The authors provide a tour d’horizon of the history of weapons, the conduct of war, and the rules of warfare. These rules are referred to variously as “War Law,” the “Law of Armed Conflict,” or “International Humanitarian Law,” often depending on one’s foundational perspective. They observe that in the Twelfth Century, the invention of the crossbow, which could penetrate armor, weakened the strategic dominance of knights in Europe. This led to attempts to prohibit its use, including a call for a formal ban by the Second Lateran Council in 1139 and a decree by Holy Roman Emperor Conrad III that its use was a capital crime. The attempts failed because the weapon was simply too effective to give up. Attempts to ban improvements in the design and tactical use of the longbow also failed. And so it has continued, through the pattern of new weapons, calls for bans, and ultimate acceptance, with the arquebus (forerunner of the musket), aviation warfare, and other weapons through World War II and beyond. The only exceptions have been relatively successful bans on chemical weapons and agreed limitations on nuclear weapons. History teaches that appeals to international law have not stopped the development and use of increasingly effective weapons. Yet attempting to limit the development and use of robotic, cyber, and space weapons by law constitutes the prevailing approach of mainstream public international law professors and practitioners (“specialists”). Rabkin and Yoo are strong skeptics of the Law of Armed Conflict as understood by most specialists. That Law is comprised of the United Nations Charter, the Geneva Conventions and some of the Additional Protocols, and the statements and actual practice of states (referred to as “customary international law”). Most specialists believe that the U.N. Charter only allows nations to use force in response to an armed attack or in self-defense to preempt an imminent threat. Rabkin and Yoo demonstrate that this interpretation does not reflect the reality of great power practice. They provide examples such as the U.S. blockade during the Cuban Missile Crisis, NATO’s intervention in the former Yugoslavia, and the Israeli destruction of Iraq’s Osirak reactor. The authors’ main objections are directed to the 1977 Additional Protocol I to the Geneva Conventions (“AP I”), which elevated non-state actors such as independence movements and guerillas to the level of nations and expanded the definition of civilian targets that were not to be attacked. They describe AP I—which the U.S. has not ratified—as instituting a significant break with the history and practice of the Law of Armed Conflict. 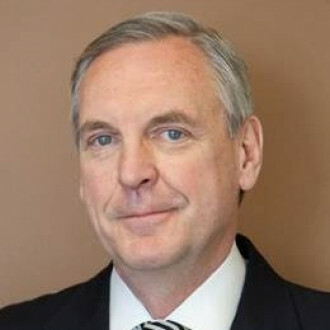 A chapter entitled “How the Law of War Was Hijacked” describes the authors’ view of the politics behind AP I and subsequent interpretations of the Law of Armed Conflict by the International Committee of the Red Cross and advocacy organizations, and occasionally by international tribunals. Their thesis is that the law “has become an arena for ideological struggle between advanced and developing nations.” They describe the hypocrisy of the specialists and the lack of great power acceptance of many prevailing precepts. Although they make their argument in a thorough and reasoned fashion, many serious and distinguished people will thoroughly reject their thesis, reasoning, and conclusions. Those disagreements will not be settled here. For present purposes, it is sufficient to note that, apart from fundamental matters such as genocide, the Law of Armed Conflict rarely has precise and unalterable content. Rather, it is living, evolving, and subject to debate. The authors argue that by limiting the circumstances in which the use of force could have a basis for unequivocal international support, the prevailing interpretation of the U.N. Charter reduces the range of options for coercing other nations. Yet, at times, coercion through limited, targeted force is exactly what is required. The challenges of this century—including terrorism, rogue nations, asymmetric warfare, and regional challengers—demand more frequent use of force, but low-intensity force, delivered with great precision and at lower cost. Rabkin and Yoo would loosen the purported international law restriction on the use of force in anticipatory self-defense by removing the requirement of “temporal imminence.” They say the need to do this is especially acute when the potential danger is greatest, as in attempts to preempt the use or development of weapons of mass destruction. As an example, they cite the Stuxnet cyber exploit, which slowed down the Iranian nuclear program for years, with no direct injury to human beings. Their more controversial argument is that the Law of Armed Conflict should be understood to permit the use of force through new weapons against civilian targets, as long as the force applied is non-lethal. This is anathema to international law specialists, who believe that the Law of Armed Conflict prohibits attacks on civilian facilities which are not also used for military purposes. Rabkin and Yoo point to examples in which nations have used direct and indirect coercion against civilians, such as trade embargoes and economic sanctions. They note that U.N. Charter authorizes the Security Council to impose such restrictions. Applying the test of ending conflict as quickly as possible, with as little destruction as possible, the authors would accept attacks on civilian infrastructure or property if they were the most efficient and least destructive course of action. They note that nations have engaged in such attacks for various reasons, including humanitarian intervention. Most prominent are the NATO strikes on power stations, highway bridges, and broadcasting towers in Kosovo and Serbia. Rabkin and Yoo observe that “military lawyers have turned somersaults to justify these attacks.” Rather than engage in questionable reasoning, “nations should honestly admit that their militaries are employing force against civilian targets to pressure their enemies.” As to the element of proportionality, the authors argue that the standard should simply be whether the costs to civilians of an attack significantly outweigh the benefits of bringing a faster, less destructive end to the conflict. Looking forward, Rabkin and Yoo argue that concerns about the development of autonomous robotic weapons are misplaced. Autonomous weapons are merely another technological advance. Targeting decisions may be made by algorithms, but humans make the decision to deploy, so “command responsibility” would apply, just as it does in other circumstances. The authors believe dire warnings of a “cyber Pearl Harbor” are vastly overstated. 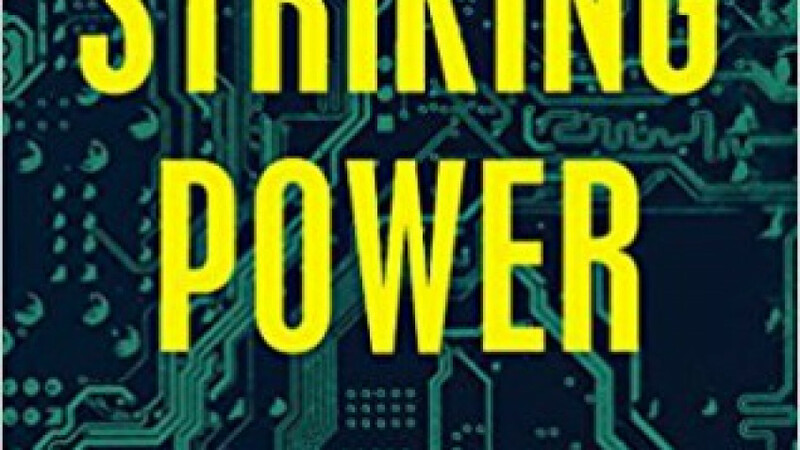 They write that “fervid imagination seems to have outrun physical possibility.” They note that the developments of exploits such as Stuxnet are time consuming and expensive; that virus is reported to have taken four or five years to develop and to cost billions of dollars. The rules of cyber warfare have not been set. There are no specifically applicable treaties. There has never been a declared cyber war, so there is no actual state practice from which states can even begin to set rules of customary international law. The great powers have agreed to no norms. The only point of consensus seems to be that a cyber attack that would have widespread kinetic effects on civilians, similar to the effects of “bullets and bombs,” would violate the Law of Armed Conflict. But the absence of actual law has not dissuaded specialists from proclaiming its precepts. The most prominent effort has been the Tallinn Manual, which contains a set of “rules” composed by academics meeting in Estonia under the aegis of NATO. Now in its second edition, it is advisory in nature; it is not binding on anyone, including NATO members. According to the Manual, “the law of armed conflict applies to cyber operations undertaken in the context of armed conflict.” There have also been other efforts at codification that assume that the rules of AP I provide relevant standards. AP I prohibits reprisals against all “civilian objects” and “civilians” in general, and notwithstanding formal reservations by some of the signatories, the Tallinn Manual proclaims that this is now customary international law, binding on all states. Yet this proclamation is based on almost no state practice or public announcements of position. Thus as Rabkin and Yoo observe, “they assume away the most important questions in a field that has just opened.” But the specialists do acknowledge that some key questions are unanswered. For example, the Tallinn Manual experts could not reach agreement on how to treat an attack on a major international stock exchange that causes the market to crash, because, as the Manual states, “they were not satisfied that mere financial loss constitutes damage” sufficient to constitute an armed attack. The key point here is that the most fundamental questions concerning cyber attacks, such as what constitutes an armed attack, what circumstances permit such attacks, and what objects may be attacked, remain open. What is known is that states have indeed interfered with civilian websites, computer controls, and access to the internet, even if they have not acknowledged it. Rabkin and Yoo suggest that in some instances “a precisely targeted cyber attack might provide a tactically superior response” to the use of conventional weapons. Exploits can be individually tailored, ratcheted up or dialed down, and limited in duration, to meet particular circumstances. They can be a “more precisely tuned means of coercion between nations,” and “might serve the ultimate aims of humanitarian law” by reducing destructive kinetic conflict. Space weapons present special challenges. Businesses and people rely on satellites in their day-to-day activities to a remarkable degree. The GPS system is one of the most obvious examples. Furthermore, space weapons have the potential to be especially destructive. For example, the authors describe proposals for space weapons, including “Hypervelocity Rod Bundles,” which are tungsten rods about twenty feet long and one foot in diameter that would be dropped from satellites. Accelerating to a speed of 36,000 feet per second, the sheer kinetic energy would give the impact on penetration of nuclear weapons. For these reasons and others, there have been calls for a ban on the “militarization of space.” Rabkin and Yoo, to the contrary, argue against adopting any broad prohibition on the use of force in space. The current legal structure is set by the 1967 Outer Space Treaty, signed and ratified by the U.S., the U.S.S.R., and other major powers. The treaty created a set of restrictions, the most relevant of which are prohibitions against the “establishment of military bases, the testing of any type of weapons and the conduct of military manoeuvres on celestial bodies,” and it prohibited placing weapons of mass destruction in orbit. It declared that space, the moon, and celestial bodies be used “exclusively for peaceful purposes,” but this provision has been construed by the U.S. to permit the use of space for self-defense. Rabkin and Yoo argue that the U.S. should use space weapons the same way as robotic and cyber weapons: “as a strategic mechanism to coerce other nations, which will lead to more peaceful resolutions of crises.” They add important caveats. They argue that nations should voluntarily limit employment of anti-satellite weapons, because satellites are critical to early-detection systems, and fear of their total destruction would undermine the strategy of deterrence. Similarly, nations should manage first-strike capabilities in a manner which would not destabilize the strategic balance of power. They recognize that the risks of triggering a nuclear exchange far outweigh any coercive benefits. Finally, the authors endorse another voluntary restriction, arguing that the U.S. should limit development and propose a narrow international ban of space weapons designed to strike ground targets, again because they would destabilize the balance of power. Rabkin and Yoo acknowledge that most specialists in the field would go much further in arguing for international cooperation, including the prohibition of space-based weapons. But the authors believe any such comprehensive arms control regime simply would not succeed, because no country could have confidence that the agreement would survive. Instead, they argue, limitations will have to be based on deterrence. The authors write with a deft and artful touch, with engaging and persuasive prose. Their key arguments are stated simply and directly. This makes it is possible to be swept along by their arguments, sometimes at the expense of critical engagement. But there are some key points that the authors could have addressed more thoroughly. Most importantly, they could have addressed the consequences that would befall civilians if the attacks they argue for take place, even the “limited” cyber attacks they describe as causing “inconvenience.” For example, an attack disabling a power system almost inevitably will lead to injury and death. Dark traffic lights will cause accidents. Hampered EMTs will fail to save lives. Hospital patients will be at risk. (Coincidentally, as this sentence is being written, infants in hospital intensive care units in Texas are being evacuated in anticipation of Hurricane Harvey, for fear that power outages will cause their respirators to fail.) Shortages of essential supplies could lead to physical altercations and riots. Attributing responsibility for any injury and death to the original attack is not a stretch. In short, as leaders weigh options, the human costs of an exploit often will defy accurate prediction. Similarly, the authors give short shrift to the effects of “mere” economic, financial, or property loss. An attack bringing down a stock exchange would cause utter chaos, with consequences impossible to foretell. They could be as widespread and disruptive as the bombing of a city by conventional means. These observations do not detract from the importance of the book. Striking Power will be regarded by some as controversial, and by others as blasphemous. But it surely is groundbreaking and timely. As nations continue to develop and use new weapons, new concepts in international law must emerge. Rabkin and Yoo have provided a useful starting point for deliberations by political leaders and legal advisers charged with making life and death decisions in the real world.